VETERANS NEED A VOICE. They want to be heard and have their issues addressed. The lack of services to their needs has created a defeatist attitude among Veterans. Veterans would greatly benefit from a neutral advocacy group that would assist them in meeting their needs. 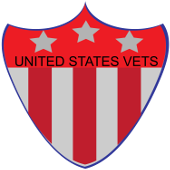 United States Vets, Inc. matches Compatriots (Veterans) to work one on one, educating them on their rights, help them access services both within the Veterans Administration and the community at-large. Of the over 25 million veterans in the United States, over 12 million are known to need after care services due to maladjustment to civilian life after discharge, medical conditions, mental health issues, drug/alcohol abuse and lack of spiritual strength. Sometimes these needs continue throughout their lifetimes. Being a Compatriot will add strength to handle life challenges. To provide resources to help our American Vets and to administer this help by people dedicated and genuinely committed to this task. We will identify the needs and the scope of our outreach by tangible and objective assessments guided by professional standards and motivated by a core of human values of the highest order in line with the fullest expression of the welfare, recovery and continuing care of our Vets and their families. Our policies, plans and procedures will follow their effectiveness in achieving concrete and desirable results that will benefit and satisfy our Vets in all their needs. And we will be vigilant in monitoring ourselves to assure that we meet and maintain our mission.